Dummy handle does not function. 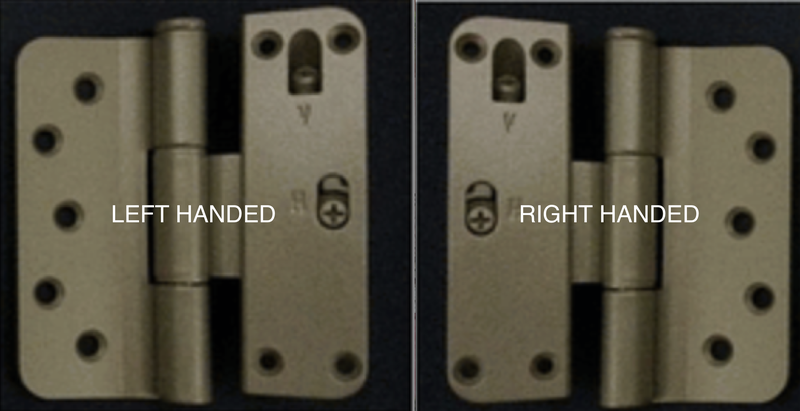 If you have a double door where the semi-active door is locked by flipping the manual throw bolts, but you wanted it to have a matching handle, then you would get the dummy & it just screws to the face of the door. Decorative only. 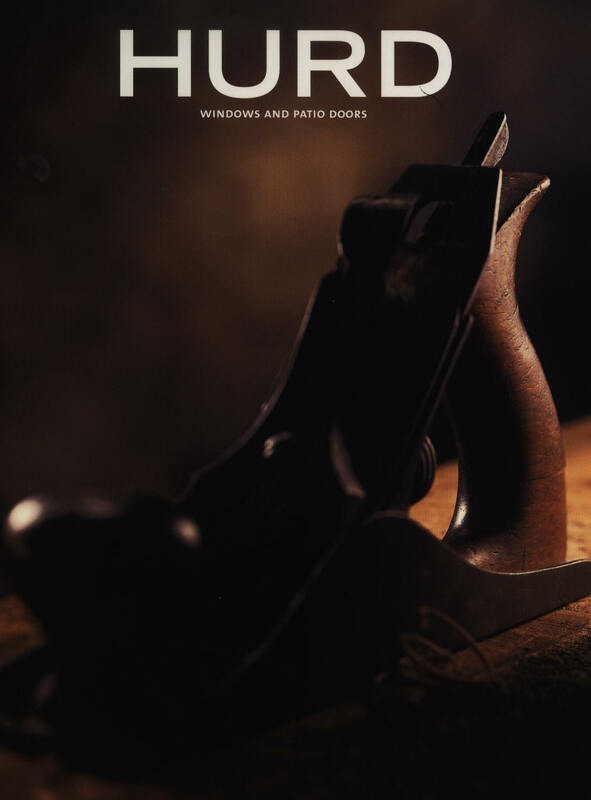 Gear driven semi active – this is if you have a double door & the semi-active door does not have manual throw bolts, but has its own locking system that requires the handle to throw the shoot bolts. 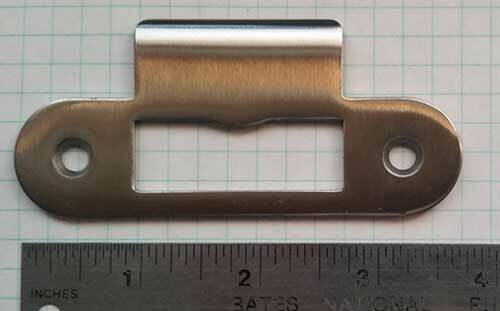 This handle works the same way as the active, however it does not have a keyed cylinder. Only has a thumb turn on the inside. 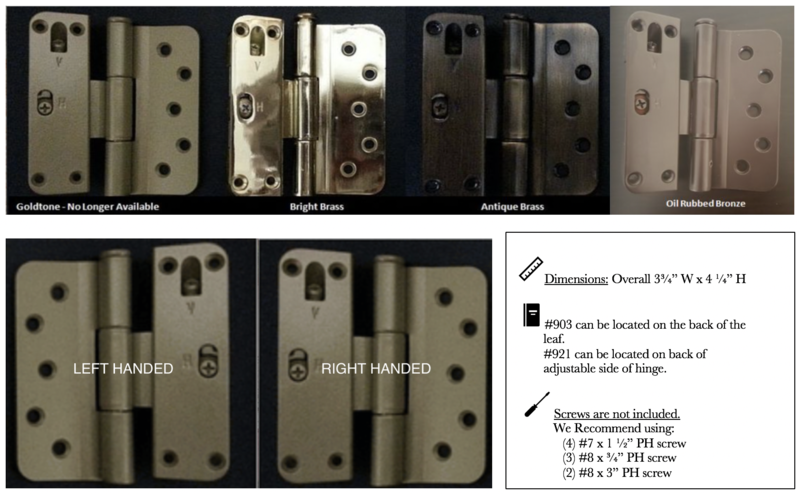 Note: existing part should have “Hoppe” stamped in the steel near the door latch. If it says “fuhr” these parts will not work. You will need to fill out the Hoppe conversion form & return to us for a quote. Some rare Hurd doors used the lock shown here. 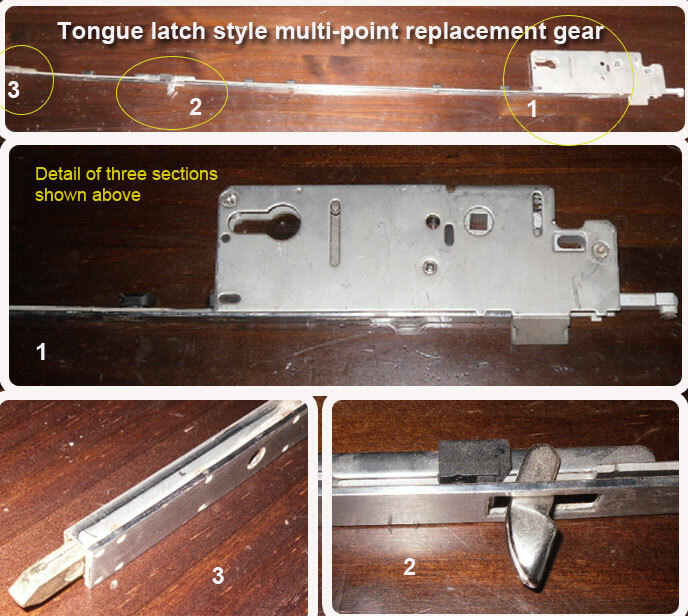 See image left for example of parts installed.. 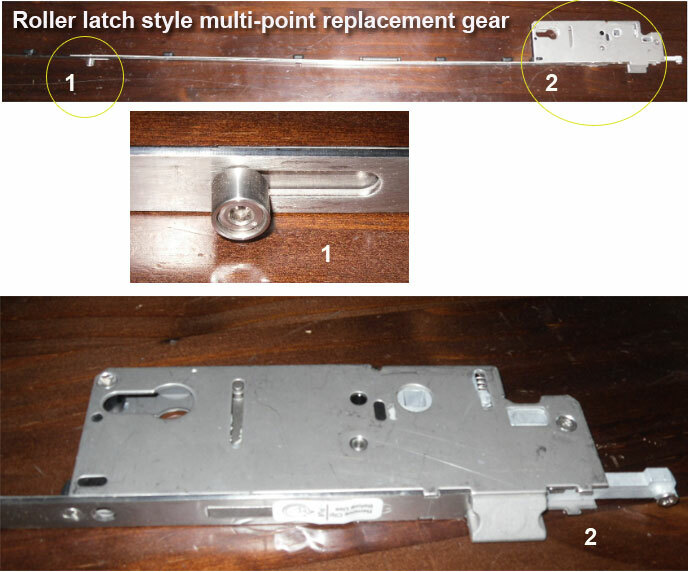 Helpful Hint: Remove your door by removing hinge pins. Remove old door sweep and staples that may be holding it on. 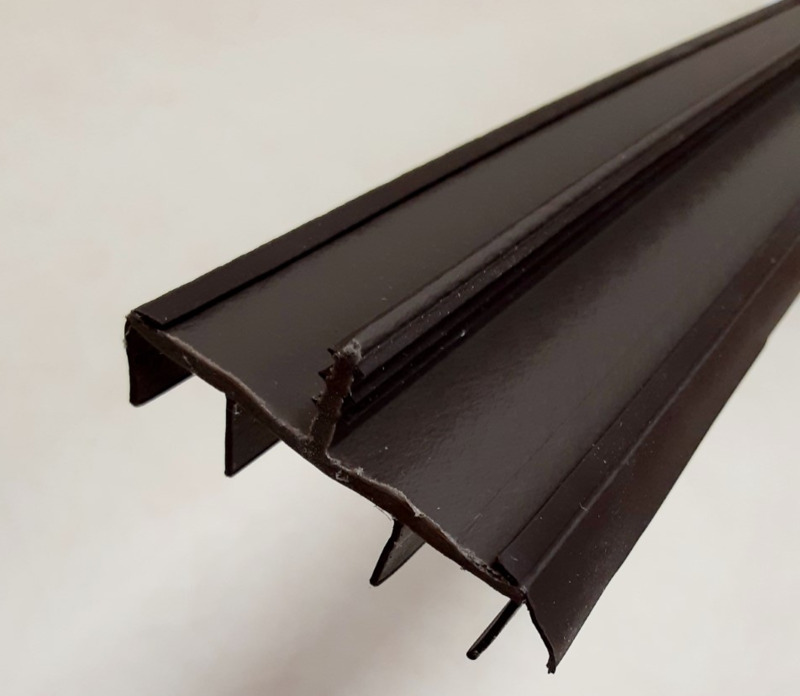 Clean the bottom of the door, add a bead of silicone to the bottom edge of your door and staple the new door sweep on to the door bottom. 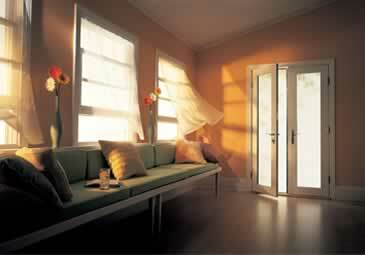 The silicone with give you an added guard against future moisture penetration into your door panel. Lite Grey color shown above is no longer available. The replacement is brown. Fits doors up to 96” high and 72” wide. 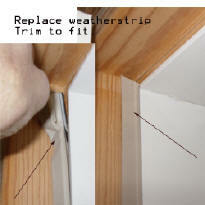 Trim to fit, includes side and head weather strip. Does not include sill or door bottom.